SportsTyme is Hiring for the Summer Season! Do you have childcare or teaching experience and are looking for a summer job? You may be the person we’re looking for. Summer is almost here and SportsTyme is looking for qualified candidates for their summer season. 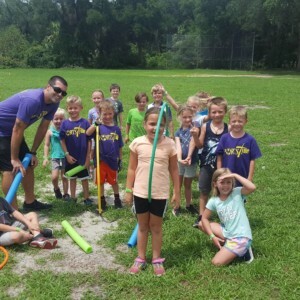 While other summer camps may hire high-school aged kids without a childcare background, we at SportsTyme do things a little differently since we want to give our campers the best possible experience. We hire folks with childcare experience like teachers from the local community and more experienced childcare and coaching professionals. We have several openings on our Indeed Jobs page including a Summer Camp Director and a Summer Sports Camp Coach for several different locations including Heathrow, Sanford, Winter Springs, And Oviedo. Please note that while our Summer Sports Camp Coach position is currently taking applications for four different locations, we ask that you only apply to one, even if you can work at multiple sites. A full list of duties, responsibilities, and salary can also be found on the job site as well under each job description. Check out our staff page if you’re curious to see the folks you’d be potentially working with. And if you’re never heard of SportsTyme or are curious to see what we do, check out our About page. You’ll find that we’re different than your average summer camp.